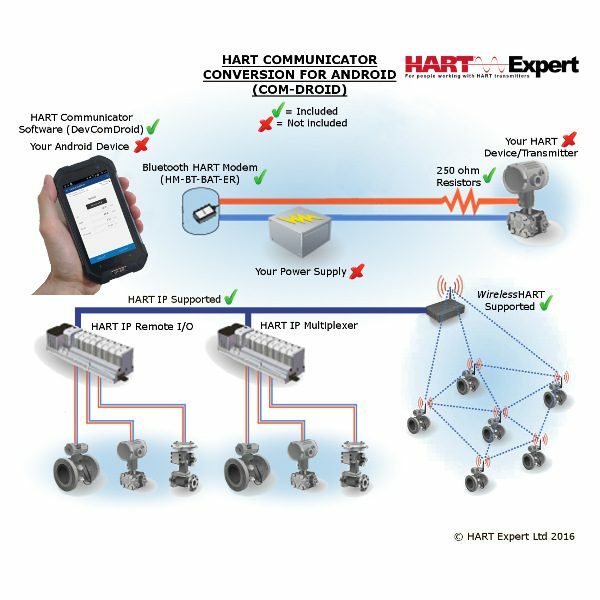 HART Communicator Conversion for Android Phones and Tablets. 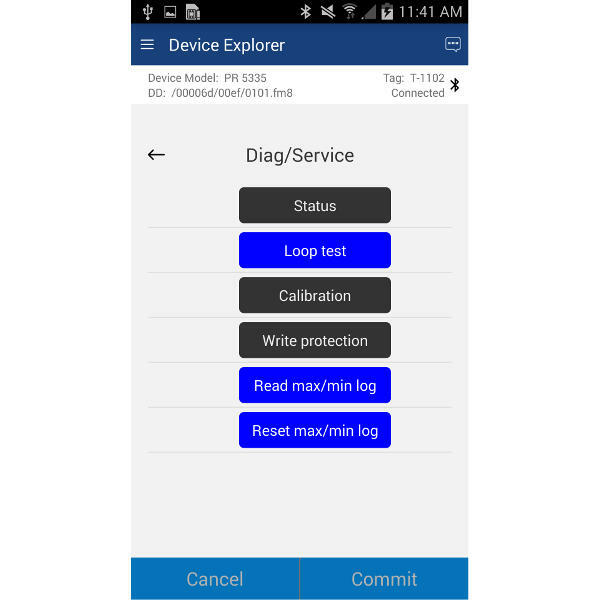 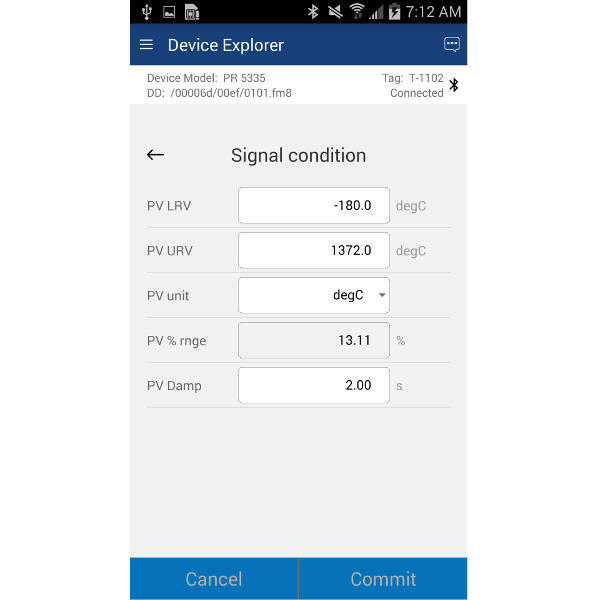 Provides complete HART device configuration (including HART 7, HART-IP and WirelessHART) using your Android device. 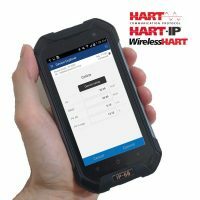 This HART Communicator Conversion for Android Phones and Tablets (called COM-Droid) is everything you need to turn an Android Phone/Tablet (e.g. 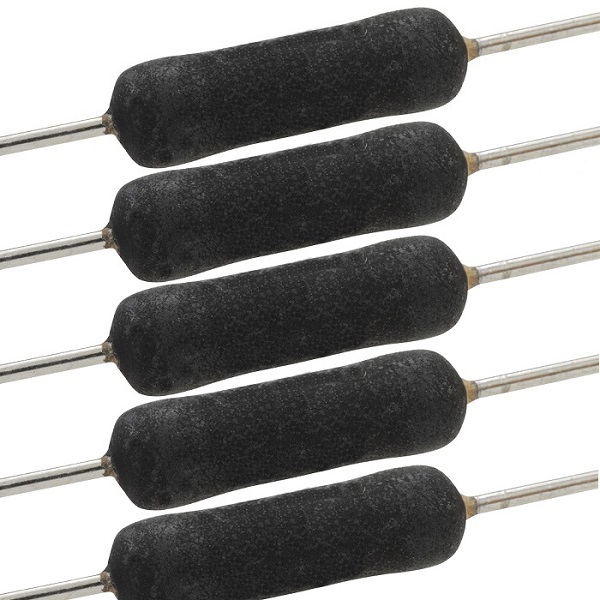 Samsung, Sony, HTC, LG, Google Nexus, Lenovo, Motorola, etc.) into a Handheld HART Communicator. It is the most cost-effective HART configuration solution available for HART devices. 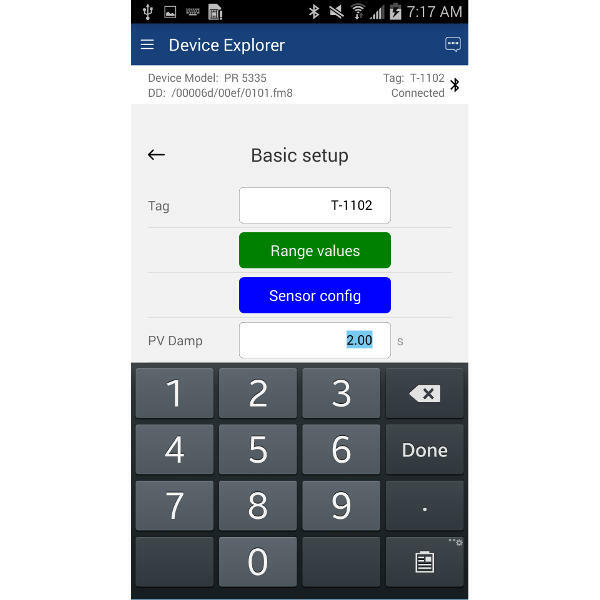 If you have an Android Phone/Tablet and want to configure wired HART devices, this Handheld HART Communicator conversion for Android will enable you to do it quickly and easily. 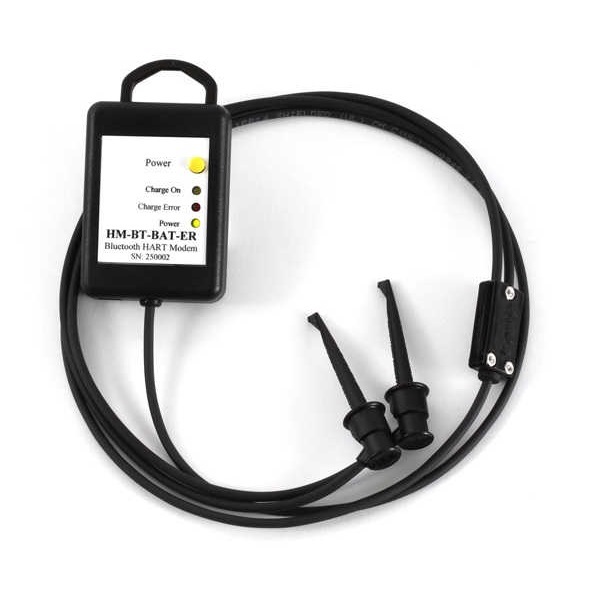 This product is intended for customer that already have an Android Tablet/Smartphone to use as a Handheld HART Communicator. 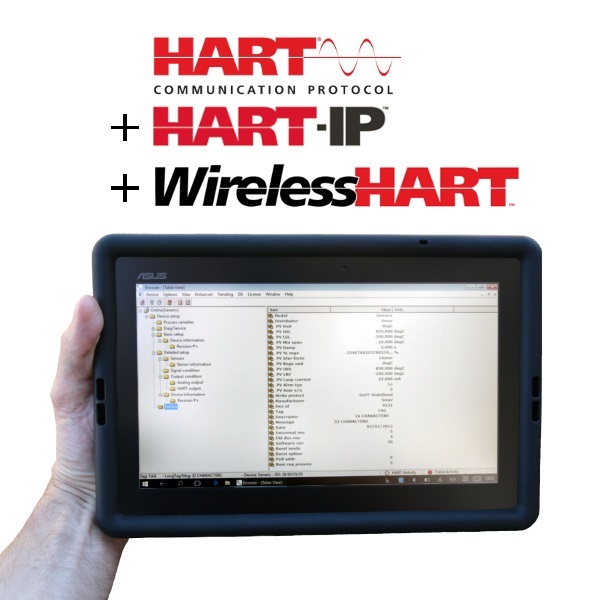 If you don’t already have an Android Tablet/Smartphone then you should select a “HART Communicator“. 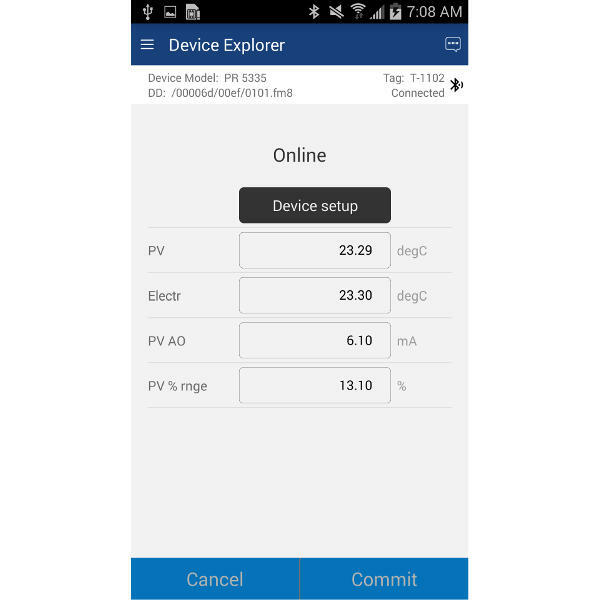 Please see the Downloads tab above.